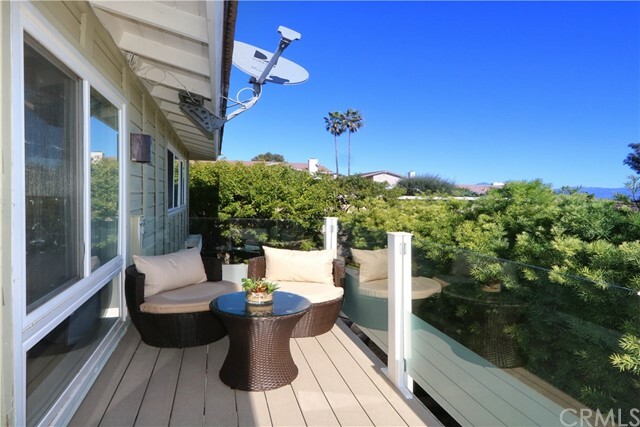 Privacy, outdoor entertaining and spectacular upstairs views in this exceptional Pacific Island Village 1 home. 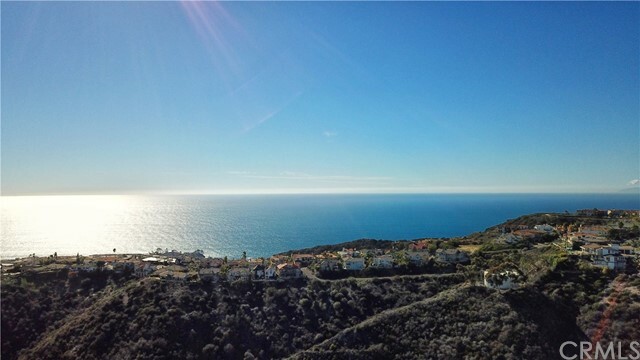 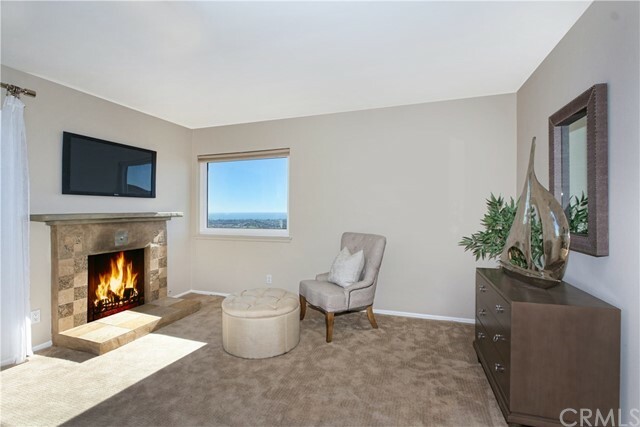 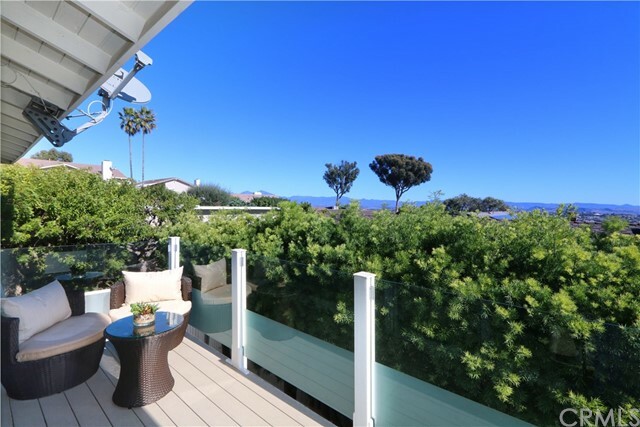 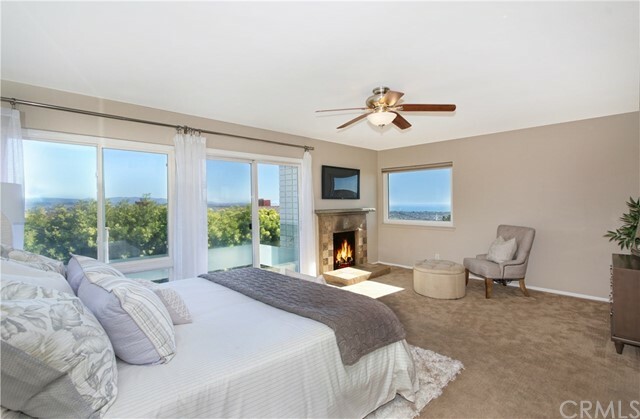 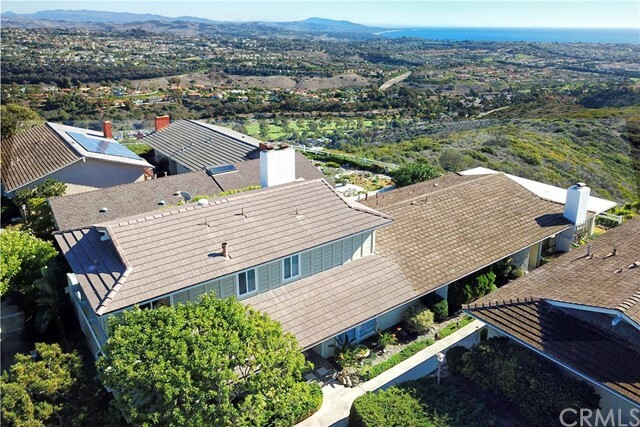 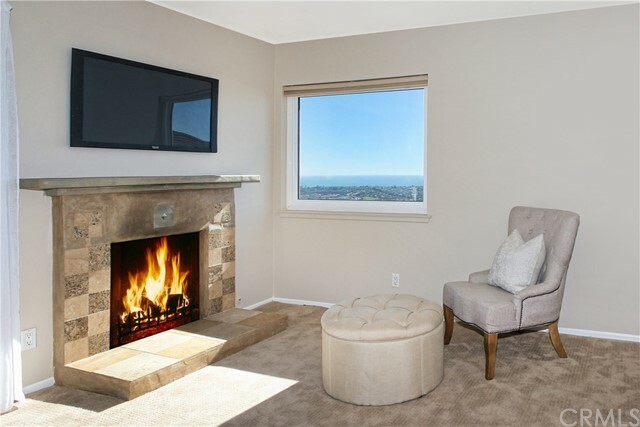 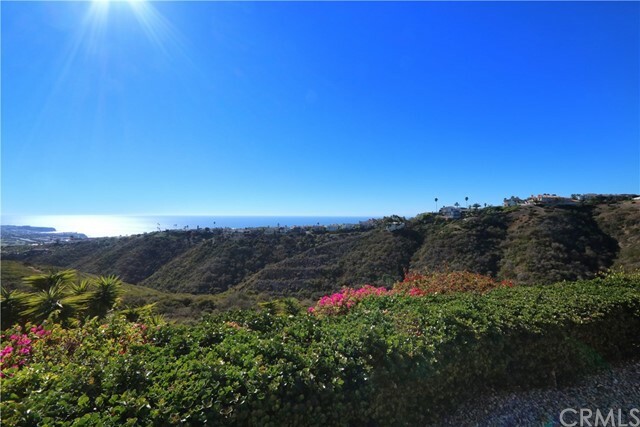 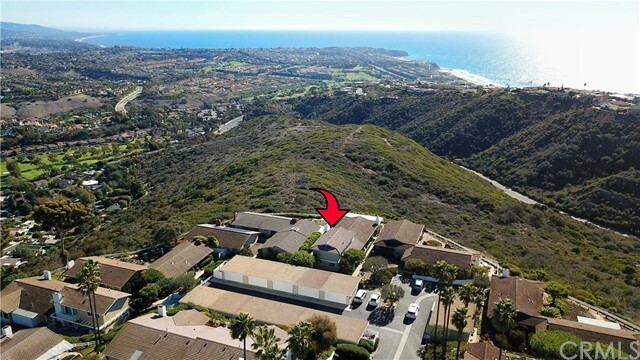 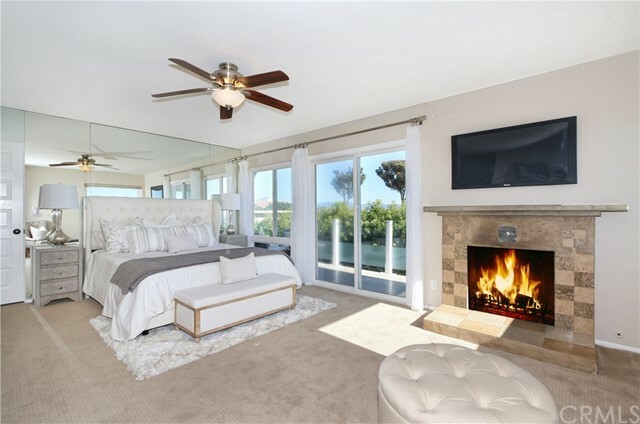 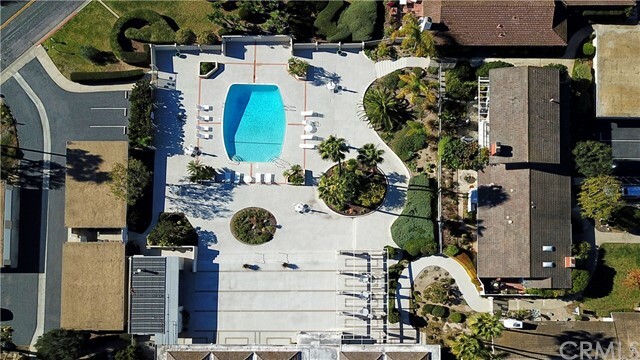 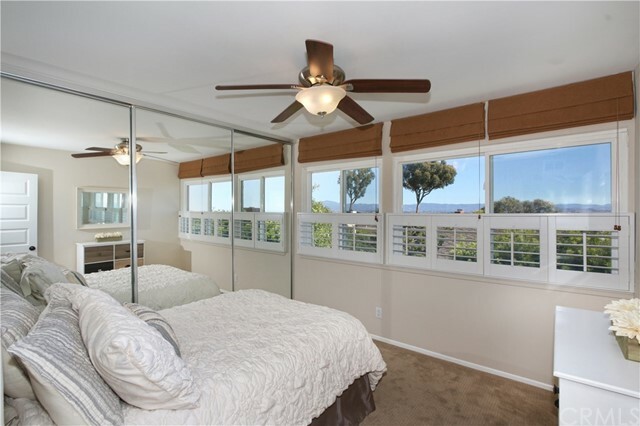 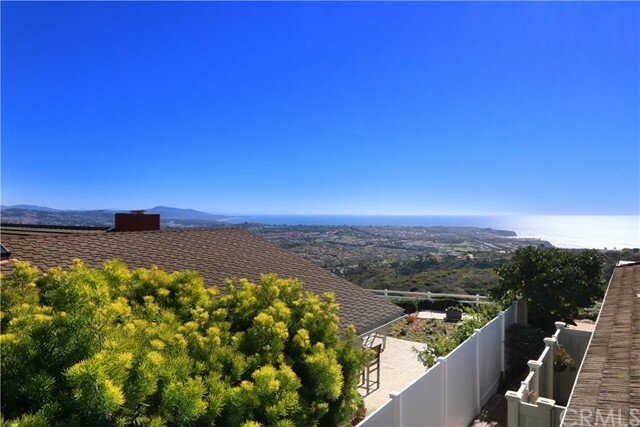 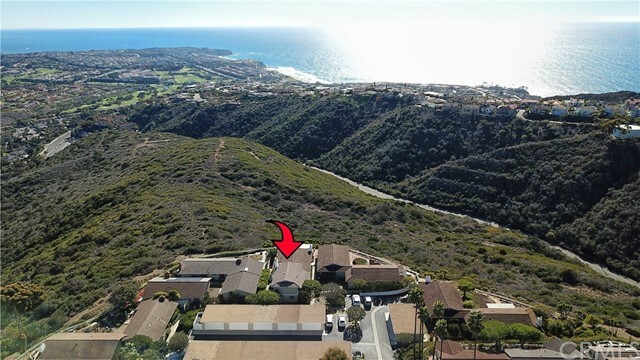 Situated on top of a coastal ridge, this property has captivating white water and coastline views from the bedrooms, as well as mountains and city lights views. 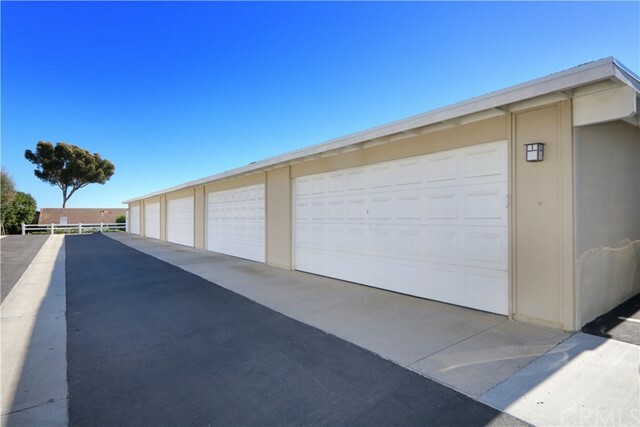 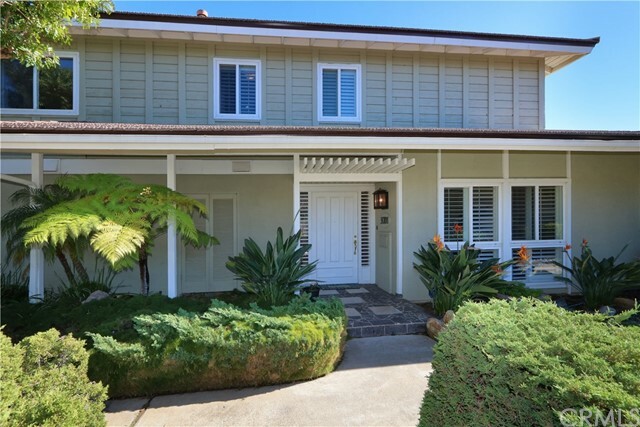 This rare, 2-story property has 3 bedrooms PLUS an office (which could be used as a fourth/main floor bedroom), 3 bathrooms and a 2-car garage. 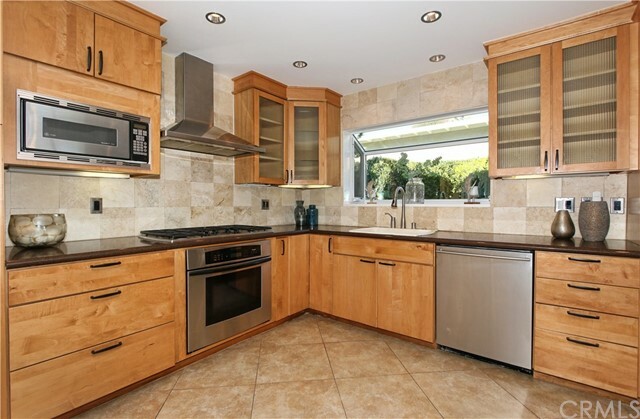 The kitchen has high-end stainless appliances, granite counters, contemporary cabinetry with pull-outs and an open layout. 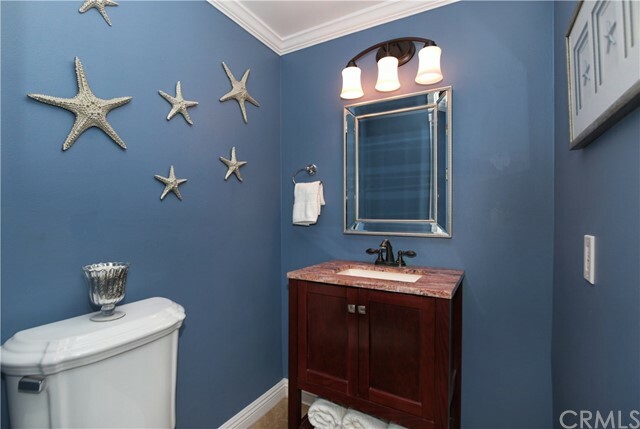 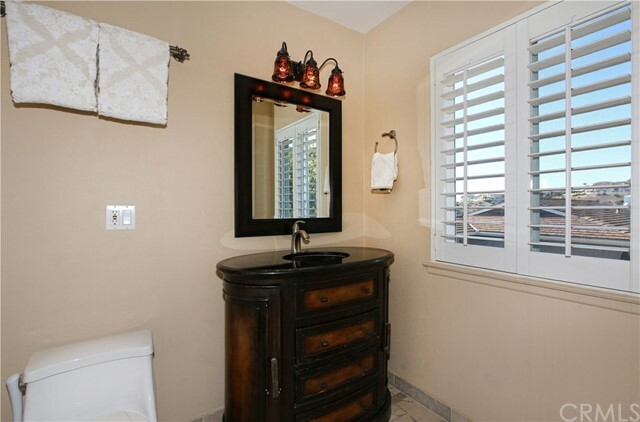 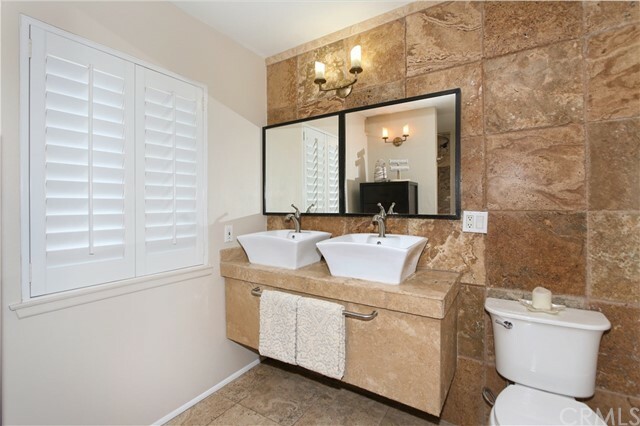 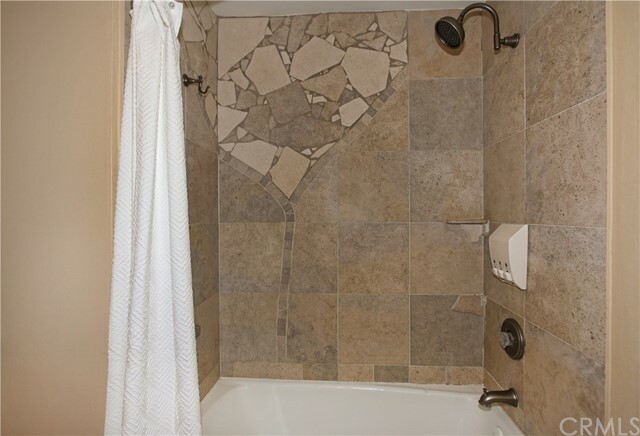 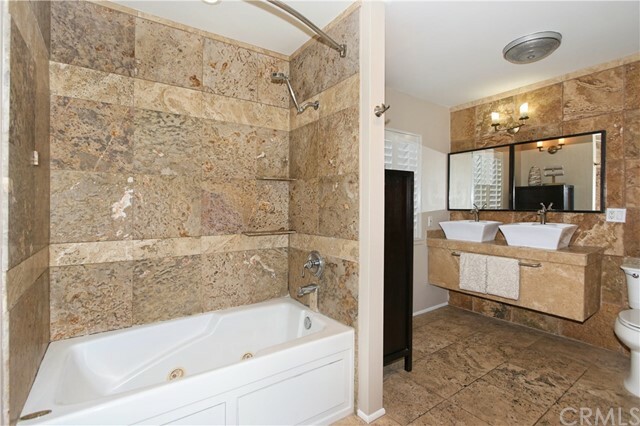 The bathrooms have been remodeled in natural stone and neutral tile – a timeless look that exudes elegance. 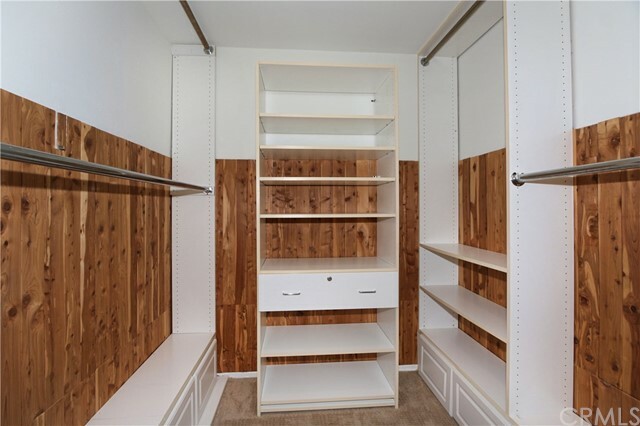 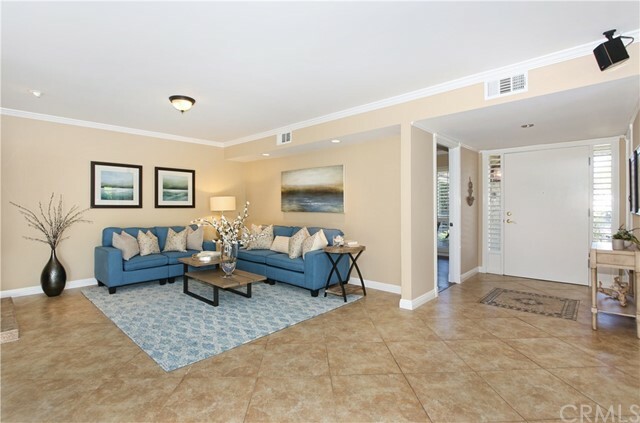 Other upgrades include crown molding, newer windows, plantation shutters and bi-fold patio doors that open up the living room to the enclosed yard. 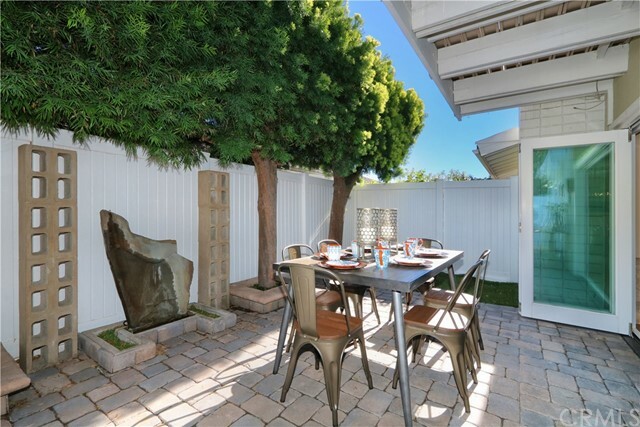 The back yard is fully enclosed, something hard to find in Pacific Island Village, and hardscaped with pavers and a peaceful water feature. 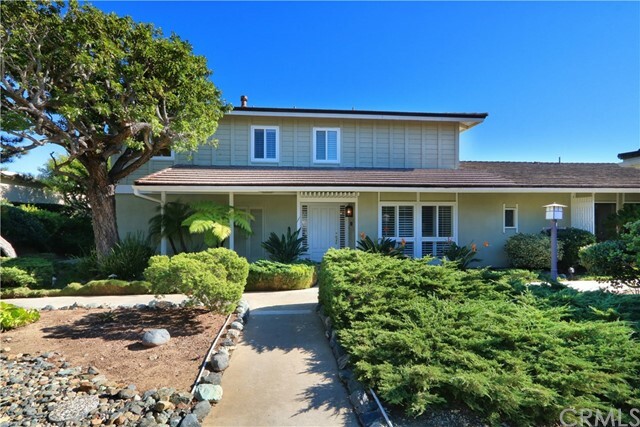 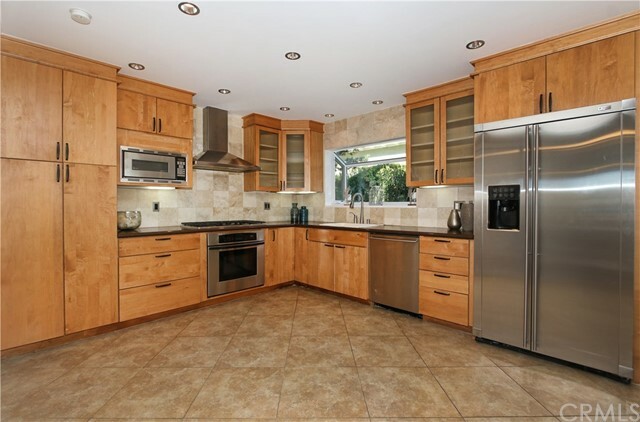 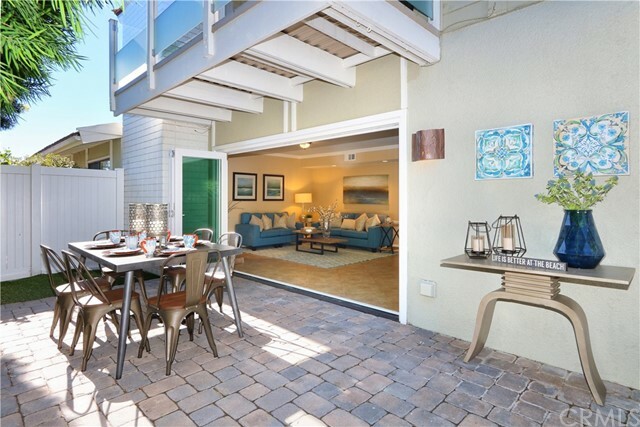 This home has a superior location with easy access to the front door and close proximity to the ocean. 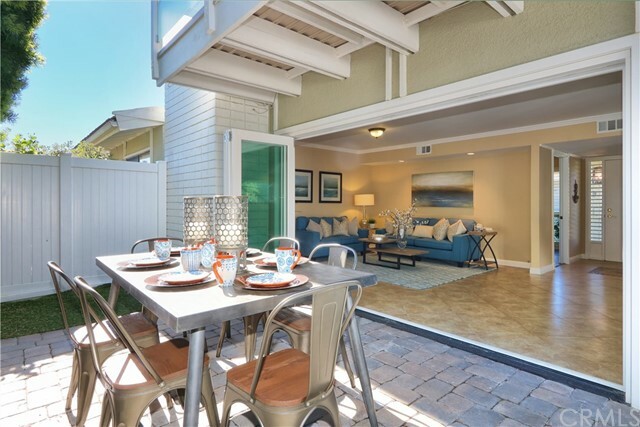 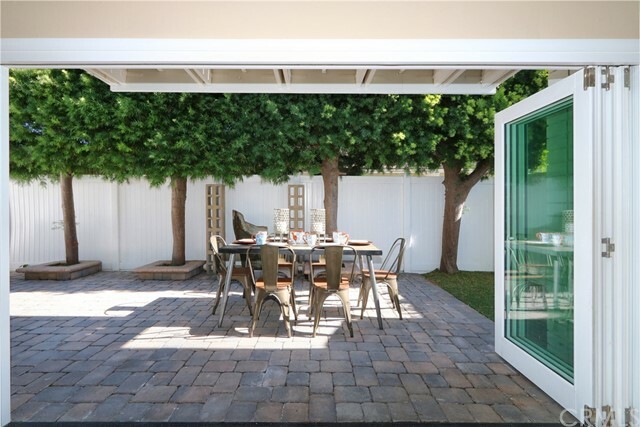 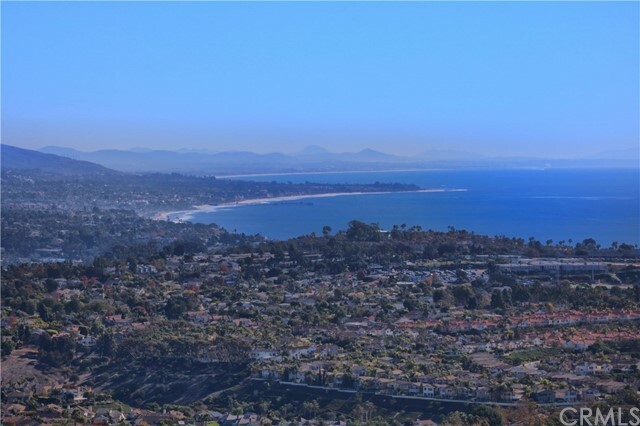 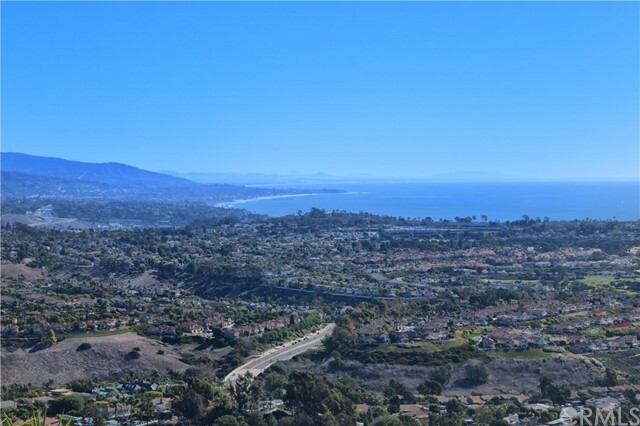 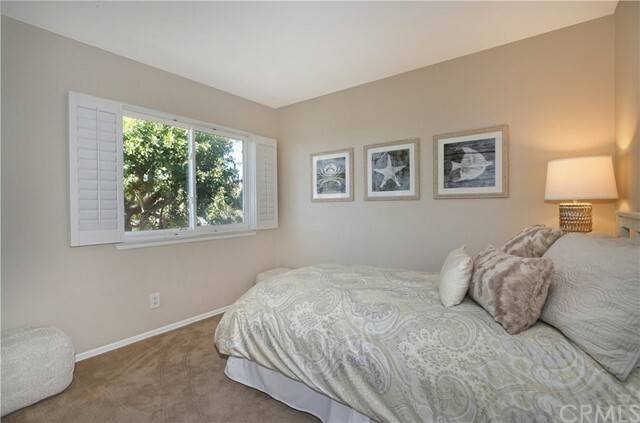 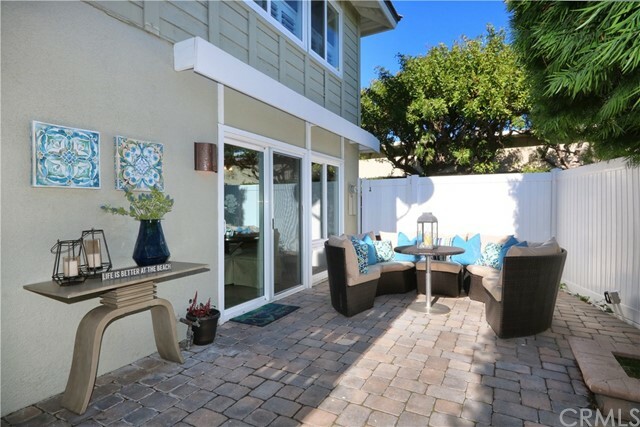 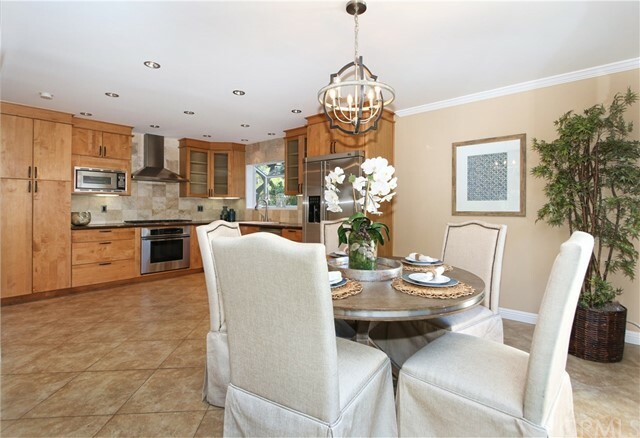 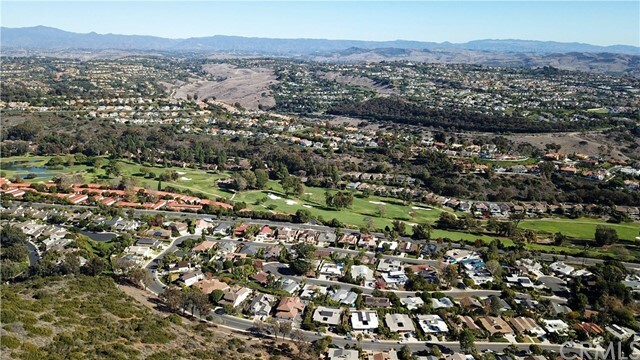 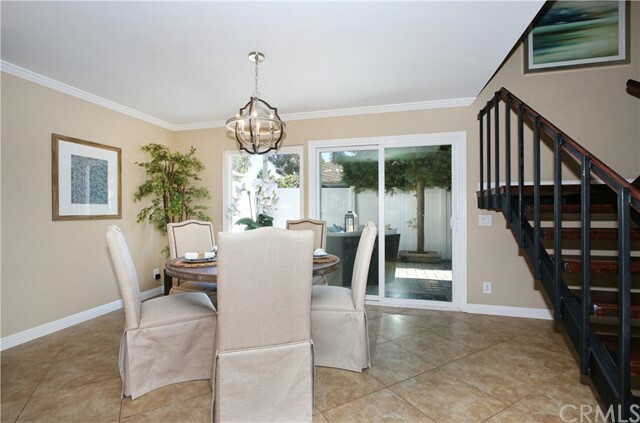 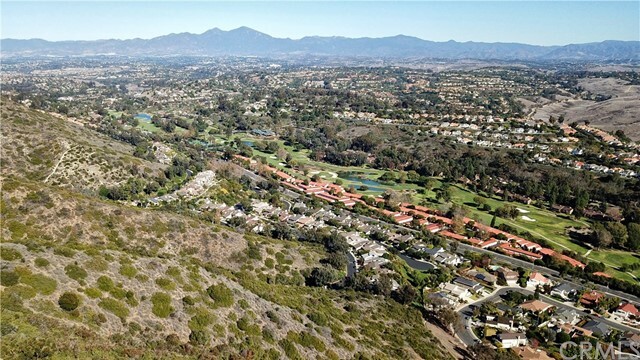 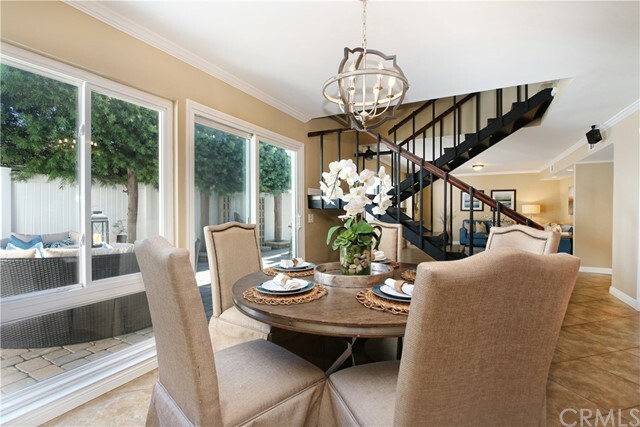 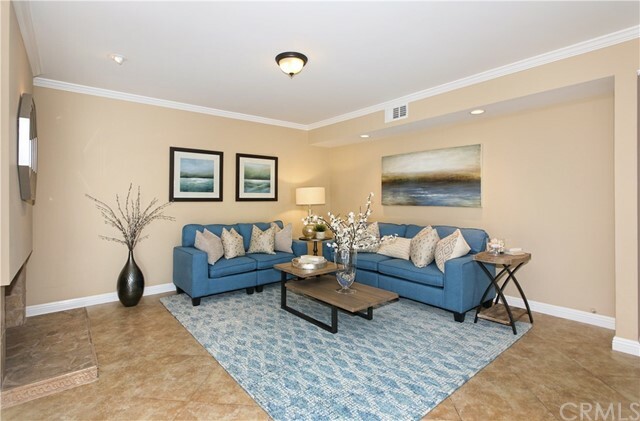 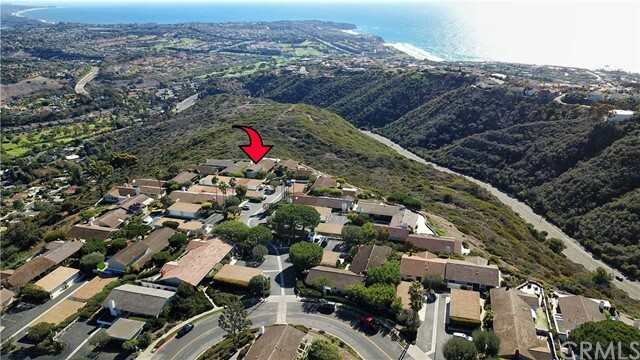 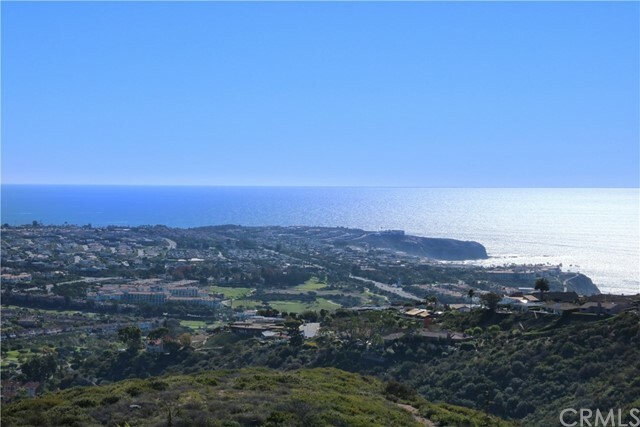 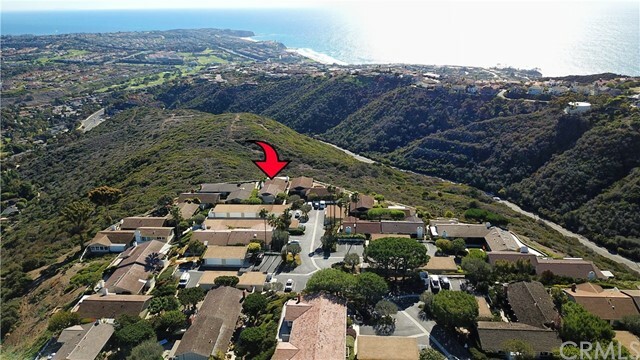 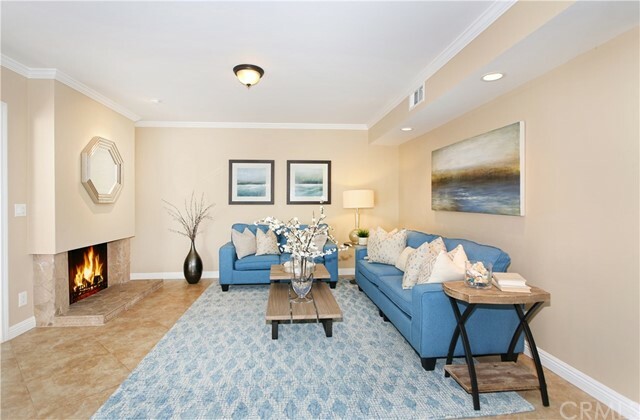 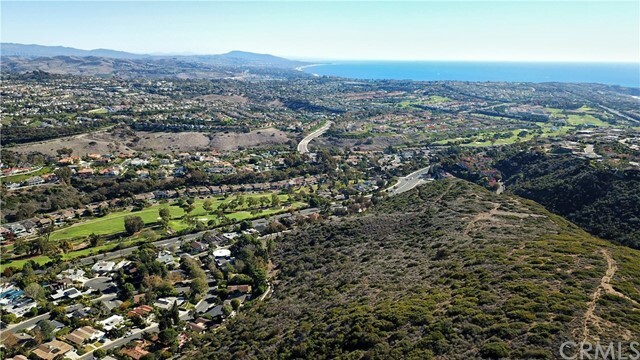 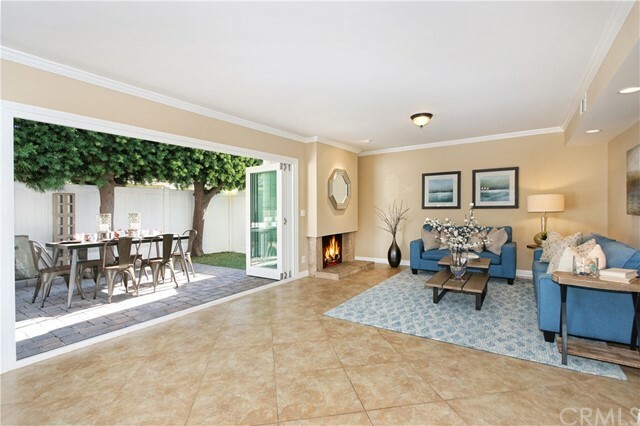 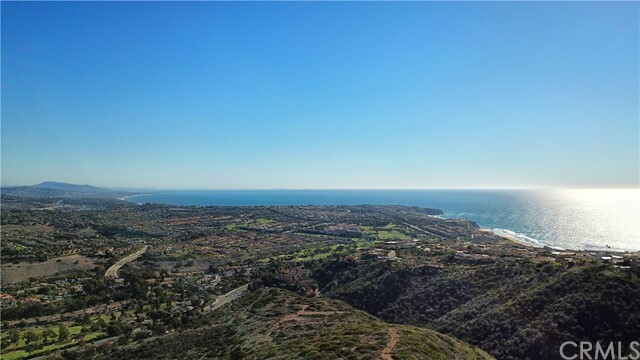 You will be just minutes from the beaches, El Niguel Country Club, great shops, restaurants and phenomenal schools. 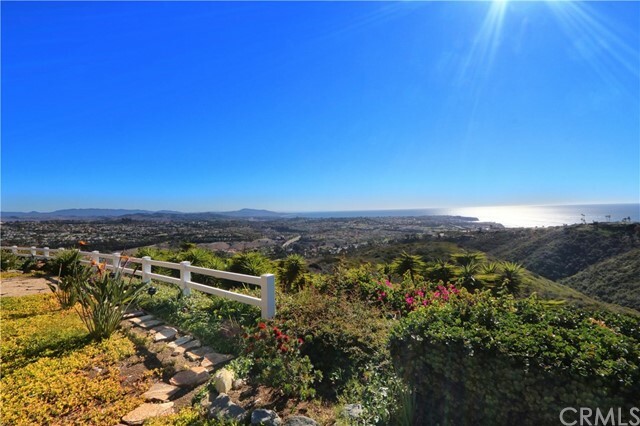 Wake up every morning to breathtaking views of the ocean and sailboats – this property has it all!